The Basket Tree Florist has been hand-delivering premium floral arrangements and gift baskets to help strengthen relationships, give love and support, and celebrate life’s special moments . From birthdays to anniversaries to commemorating a loved one, and every little “just because” moment in between. 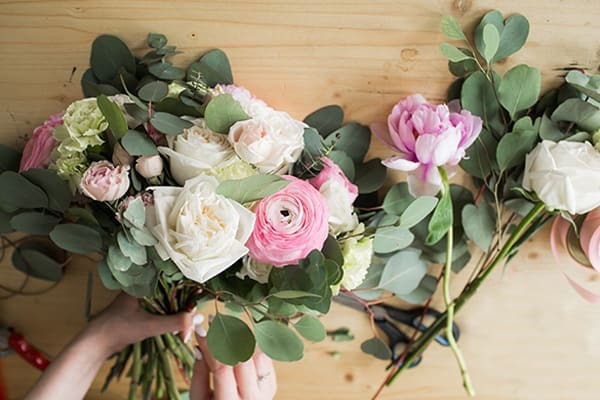 With FREE* Same Day Delivery in the Apex, NC area, we are dedicated to helping you find the perfect flowers to deliver your message and enhance your special occasion. Our stunning arrangements will allow nature’s beauty to inspire your special moment. And because we are a local florist dedicated to your satisfaction, you can always expect your needs to be treated with all the attention to detail they deserve. Choosing our Florist’s Choice Bouquet gives your gift that personal touch. Once we have expertly handcrafted your order, we will ensure it arrives at its destination on time, hand-delivered. Impress your friends, family, and loved ones with a heartfelt gift from The Basket Tree Florist. On April 1, 1982, we opened the first Basket Tree Florist. Three years later, we opened a second location in a 100-year-old building in historic downtown Apex. As a family owned and operated business, our children grew up in the stores. On any given day you could find all of us behind the counter! When our children grew up and left home, they were replaced by Matthias and Neptune- our four legged children. The “boys” come to work with us everyday and participate in the business as our greeters, delivery assistants, and mascots! The passing years were kind to us but our building was showing its age. After 20 plus years, we packed up our vases, rounded up the cats and dogs, loaded up the flowers and plants and moved down the block to our new home at the intersection of South Salem and Moore Street. But the time has come again to move to a new location. We are now located at 829 Perry Rd. Perry Road runs off of Williams St (Hwy 55) between Dunkin Donuts and AutoZone. Turn left into the driveway behind the Auto Zone to reach our shop. We are so excited to be in our new location and look forward to providing the same quality products and services that have made Basket Tree Florist a true legend on Salem Street. Let us indulge you, your family, and your friends with unusual or traditional florals from around the world. Happy occasions or sad events, flowers really do say it best. Feel free to shop on-line, call direct, or come by our new location to visit and browse.